Yesterday I spent the day in bed due to the delightful gastro bug. I asked across various social platforms for some reading material. Within ten minutes my request was responded to. Over sixty-five blogs for me to read. By the time this post is complete I know there will be more. With nothing else do to being in quarantine from the kids and the Mr. the reading extravaganza commenced. The variety of blogs,the styles of writing, photography and thoughts, was impressive. I have enough reading for the foreseeable future, so thanks for your enthusiasm and overwhelming response. So the process of writing comments began. Like most bloggers I love receiving comments. Connecting with others whatever their opinions, help me see the bigger picture. At times the comment may be brief “Great post”. Time is limited and you just want to let the writer know, you were there. Personally for me a brief comment is better than no comment. Similar to a quick hello in real life. But I have an ally (unless he has age failing eyesight too) blogging guru Darren Rowse the founder of Problogger says “Okay, captcha services are one of my pet accessibility peeves. They seem to be getting progressively illegible, with letters layered on top of one another, squashed up like they’ve gone through a sausage machine, or struck through with so many lines and swirls they’re impossible to read”. Darren also has suggestions on what to use instead, go check it out. Therefore the Number One Tip to receiving more comments is to firstly find another way of checking someone is human as CAPTCHA is actually losing you the humans that would like to connect and comment with you. Do you leave a comment when you see CAPTCHA or run for the hills? 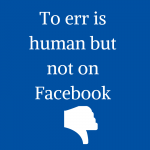 Facebook Behaviour: To err is human but not on Facebook. I run for the hills. I also really dislike Disqus. I’m ok with Disqus on my desktop my iPad dislikes it very much. Oh I hear you darling. Captcha drives me nuts I say. If I’m on a mobile device then no, if I see captcha I don’t comment, even if I really want to. Sometimes if I remember I might come back later when I’m on the computer but it’s not likely. When I’m on the computer I give it one chance. If I can’t guess the ridiculous code after one go then I don’t comment. I try and try to comment through the hell that is the C word, but then it STILL goes to spam most of the time. So, if you think you’re not getting many comments: check your spam folder stat! Hate CAPTCHA! I also find the native Blogger commenting where you have to select a profile (and if you select Name/URL it’s a pop-up) doesn’t like my iPhone or iPad. Hates it, in fact. So I rarely comment on Blogger blogs. My iPhone and iPad do not compute those either. We need a universal easy way to leave comments, one platform that works across all blogs, now there’s an idea. I use google, will have a look at blogger account. Thank you. I hate captcha! 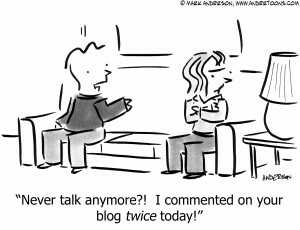 And unless I’m really into the blog I won’t comment. What annoys me most is sometimes I’m in such a rush I quickly comment hit submit and don’t realise there is captcha and close the window down! I do like disqus, although I know a few who dislike it. And must admit sometimes the comment luv annoys me when it says ‘API URL not found’ as it is doing now lol! I’ll have to speak to my web team 😉 and sort that out then. I run the wind. They peeve me off no end. I dont necessarily run for the hills, but I really dislike it. If I have to try more than once, that is the end of it. Would never contemplate putting it on my blog. I love blogger, I’m always logged in to google so I can just comment! It knows my name , email, website etc. 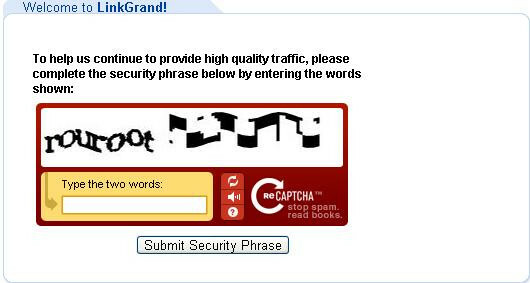 and yes, hate captchas, but had to moderate my blog as so much spam! 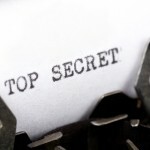 My website is open for comments on all our stories and blog posts and snippets. We have a great spam catcher and anything that slips through that has to be approved, before it appears. 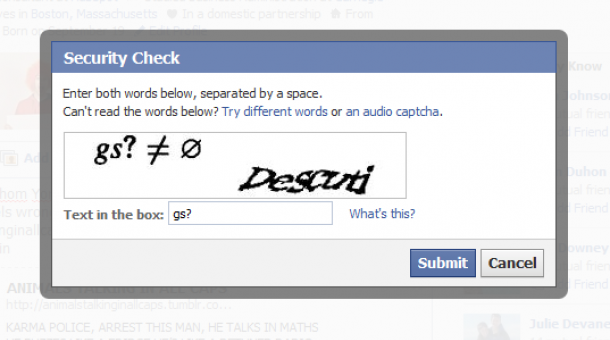 I hate Captcha – especially on a mobile device – and don’t like Disqus either. It regularly refuses to believe I am a real person. I moderate as I blog from a business page, I struggle heaps with disqus on mobile devices. Thanks for reading. I hate those too. I hate Disqus because I cannot leave my link either 🙂 You know you can have comment moderation, isin’t that enough? 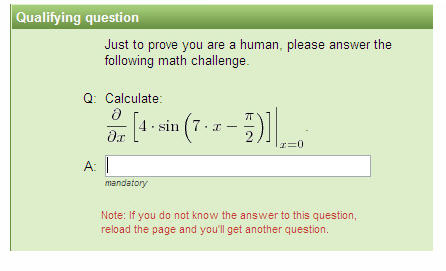 And the funny part is, many do not even know they have captcha enabled. Yes I’ve noticed that they don’t know because I’ve tweeted to tell them I couldn’t leave a comment and they had no idea they had Captcha. Yes I forgot to mention the cursing, keep running I’m right there behind you. Good point, I’ve been reading about this lately and I agree. Michael Hyatt also says the same in his book along with some others. I’m going to use an anti-spam plugin. Thanks James, it does make commenting easier without. Thank you for asking the question the other night, because I found some beautiful voices too. I dispise catchpa. I do have it set in my blogger settings to stop spam because I get crazy amounts with it off but I have disqus installed so it doesn’t affect those who are legimately trying to comment. However with disqus you need to add an additional HTML code into your coding for it to work on devices such as tablets or smartphones. Also there is another additional code you can add to make sure that disqus won’t go all wonky and not work in some browsers, but you have to put this into your coding so it will work for your blog! I know all of this because I’ve had issues with disqus working for myself in my own blog so I spent the hours looking into it and fiddling with things. I don’t think there is a perfect commenting system as of yet. You either protect yourself from the crazy amounts of spam and lose some readers (I find I don’t bother with blogs that I know use catchpa) or you have to sift through the hundreds of spam comments or you install a platform that has flaws of its own. I just aim for what I think is the most user friendly and hopefully works the best. I’m ok with Captcha the first time. After it rejects my input and I could swear I put all the letters correctly, then I get mad. To the point that I don’t bother leaving a comment in the end. Me too, I’lll give it a go, then run when it says incorrect.